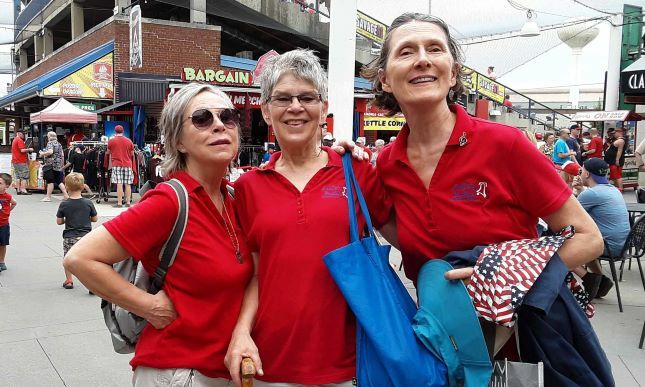 An RSS feed (or news feed) is a means by which you can stay informed about what's going on at The Liberty Belles without having to regularly visit the website. Comfy T-shirt. Combo Cotton and Polyester. Rich Red stays vibrant even after many washes. 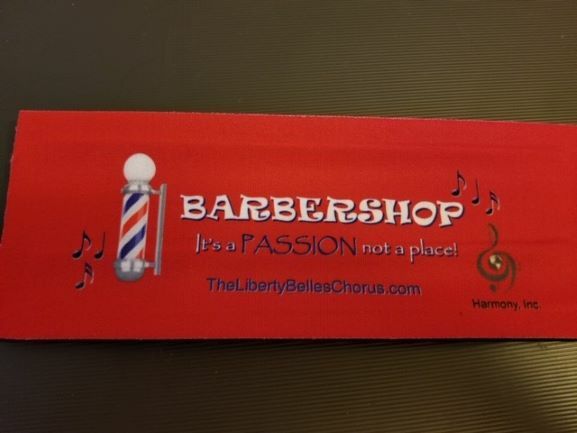 Support The Liberty Belles Chorus and wear the colors with pride! This jacket is the most comfortable and cozy lightweight jacket you will ever own. Perfect for those cool nights or when you need that extra layer to keep you warm. Quality made and machine washable. Please allow 3-4 weeks for delivery. Liberty Belles Logo Cooler Wrap - use this to keep your drinks cold, or warm. This "slap wrap" fits snuggly around your glass, can or bottle and lays flat when not in use so it's easy to pack! The Spring show a total success!